When I decided to buy a one-way ticket to Shanghai, I began researching publications that report on Sino-Africa relations. Social media is an amazing place. A Twitter follower contacted me, and turns out he follows this issues closely and works with the China Africa Project. Recently, the Project came out with an iPhone app, and now I can follow the podcasts easily during my Shanghai commutes. Today, I came across an episode titled “Chinese Volunteer in Africa”. The segment interviewed a Chinese volunteer who participated in a summer program via AIESEC and an American Peace Corps Volunteer in Namibia. 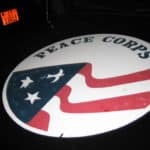 This program struck a chord with me, given that I was also a Peace Corps volunteer in Africa, in Cameroon, to be exact. And even more, that I am of the Chinese heritage. Helping promote a better understanding of Americans on the part of he people served. As you can see, the “contribution” is only 1/3 of the overall mission of the Peace Corps. The other 2/3 is actually “to promote a better understanding” of either Americans, or the host country nationals (in my case, the Cameroonians). In the other podcasts that Eric has hosted, I’ve found a reoccurring theme – lack of understanding between cultures has led to controversial decisions and behaviors. There was an episode discussing Sec. John Kerry’s statement in his Senate confirmation hearing. Sec. Kerry used languages that were rather demeaning of China’s work in Africa, and hinted on neo-colonialism. Eric suggested that Kerry and his briefers didn’t have a real understanding of what the Chinese are actually doing in Africa. The lack of understanding doesn’t stop here. There have been plenty of reports on culture clashes between Chinese and African both within African countries, and here on Mainland China. As Americans, we are spoiled by our melting pot culture, yet in African countries and China, people grow up in relatively homogenous societies. With all of the misunderstandings happening around the world, volunteer organizations like the Peace Corps are even more vital to open people’s eyes to the world, and to encourage culture interactions. No one can change the world in 3 months, or two years. Heck, most NGOs whose sole mission is to “change the world” can’t even do it in the decades that they’ve been operating in Africa. The point, instead, is to promote greater understanding between mankind. I am a Taiwanese American that spent my childhood in Taiwan, then adolescent years in the US. I was always rather indifferent between the China-Taiwan debates. When I arrived in Cameroon, I didn’t really speak French, and my understanding of Cameroon stopped at what Wikipedia and the Bradt guidebook told me. Upon arrival, I had no choice but to learn. I learned French, I learned how to eat Cameroonian food, how to live without running water, how to navigate the organized chaos that is the transportation system. I learned to be patient, to deal with the bureaucracy, and most of all, to become a member of my village. Meanwhile, given my Chinese background, I was put in touch with a Chinese family living in Bafoussam, the provincial capital near my village. The fact I spoke Chinese earned me an adopted daughter status within the family. This was the first time I ever interacted with someone from Mainland China. I learned how to make dumplings, how to read simplified characters, how to speak using words and phrases from Northern China. I discovered CCTV, and the China-Africa relationship. I used my diverse background to bridge gaps. I shared similarities of my Chinese heritage with Cameroonian friends (No, we don’t all know kung-fu, and yes, we also address people older than us as brother, sister, uncle or aunt, and we also have many dialects within a country, etc.). I shared my life in village with my Chinese friends and showed them how as a Chinese American, I can integrate. I deflected and offered different points of view when conversations about Cameroonians carried a negative tone. I am but one person. But, imagine if John Kerry’s briefer had spent some time in an African country and even just had a conversation or two with the Chinese merchants there? Or, if more Chinese people spend time in African countries with the goal to understand Africans rather than to “help them”? 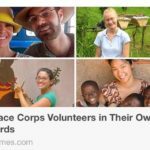 Yes, experiences like the Peace Corps benefit the person far more than the people that we are supposedly “serving”. But in the long run, having more individuals armed with an open mind and the ability to understand and to treat another culture with respect and compassion ultimately benefits the world. Thank you, Wendy, a wonderful post. I so agree with you, and have been convinced since reading Pearl Buck (no snickering!) that there is a commonality between Chinese and African cultures. I am happy to have you as a friend, albeit far away, and to have my Taiwanese-American family through marriage! We find your story very interesting. 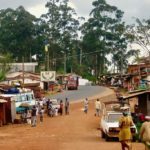 Would you be willing to share the unique things that you have experienced in Cameroon with us, so that we can publish it in our online Magazine? You can read it here: http://www.cameroontraveler.com; I hope you are enjoying being in Cameroon and thank you for all you do.